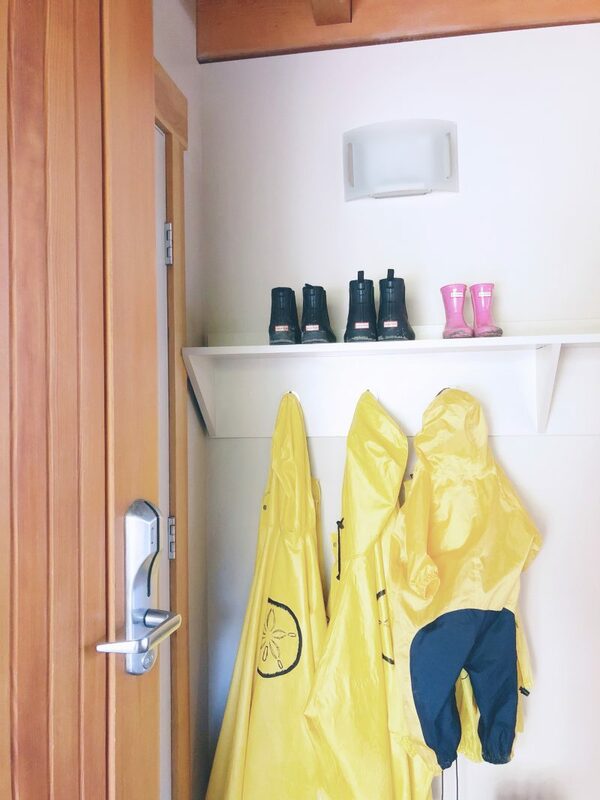 Our Family Stay at Pacific Sands Beach Front Resort | Tofino, B.C. 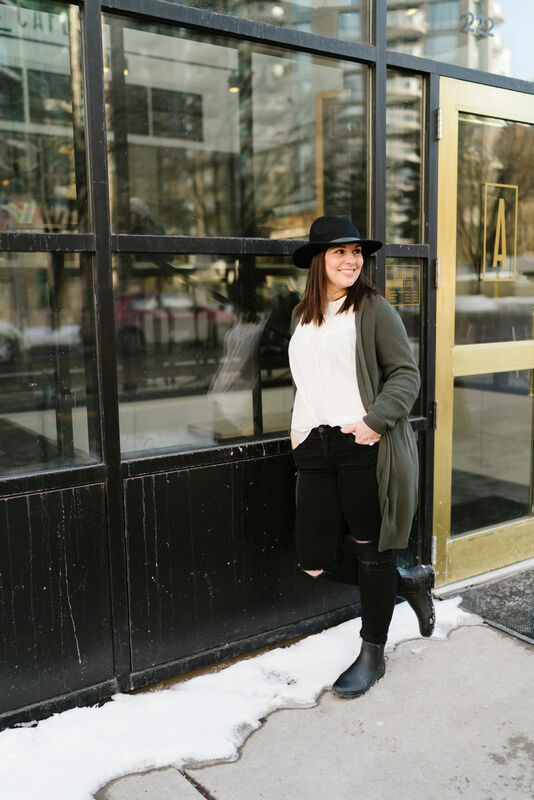 When we started planning our Spring Break Family getaway, all we wanted was to have some time away where we could relax, slow down, and have some really good quality time together. 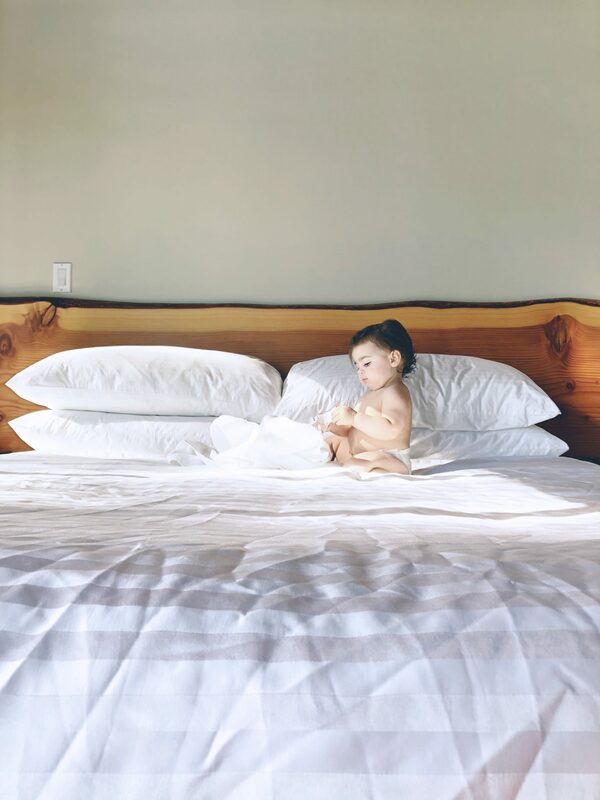 We’re a family on the go with schedules that leave little time for down time. 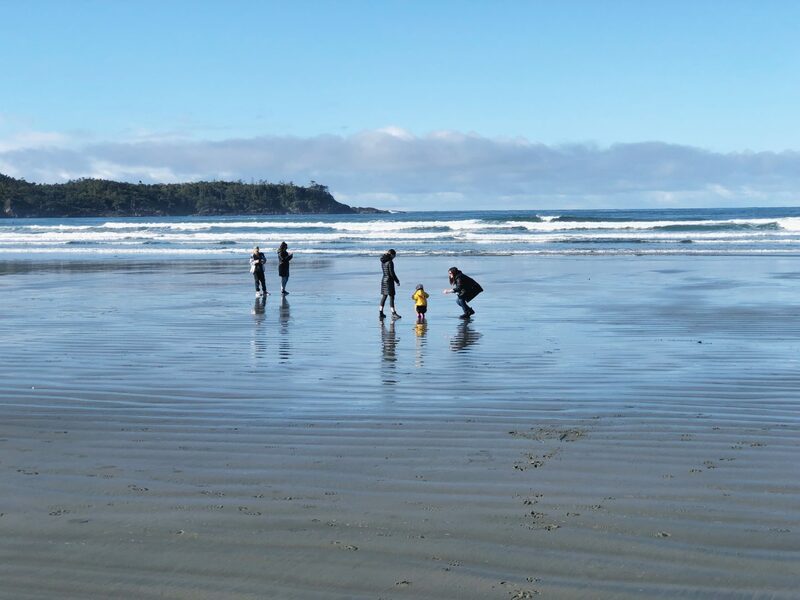 So, our idea for this trip was R&R and where better to achieve this than the beautiful little town of Tofino, B.C. Ok, this next part is kind of embarassing. Both my husband and I were born and raised on Vancouver Island, B.C., Canada. 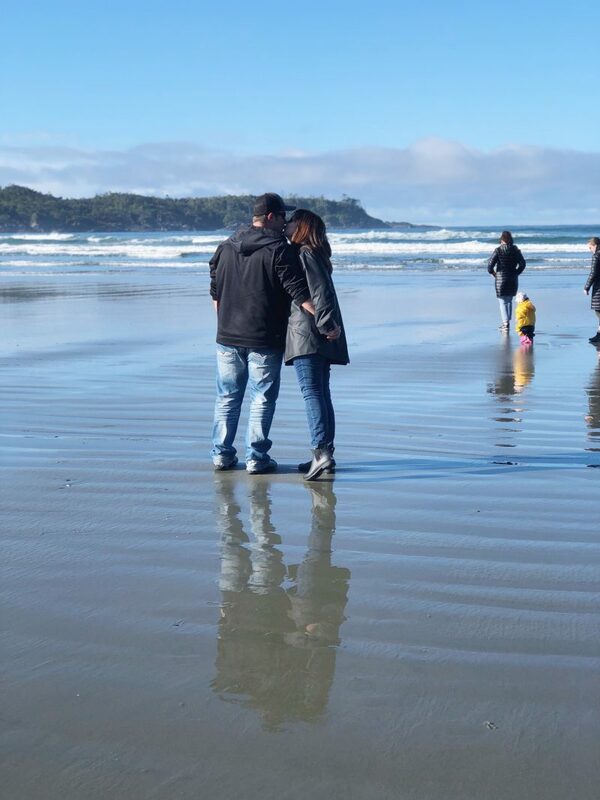 We both grew up in Campbell River, B.C., and have resided as a family for the last 13 years in the Comox Valley. The embarassing part? 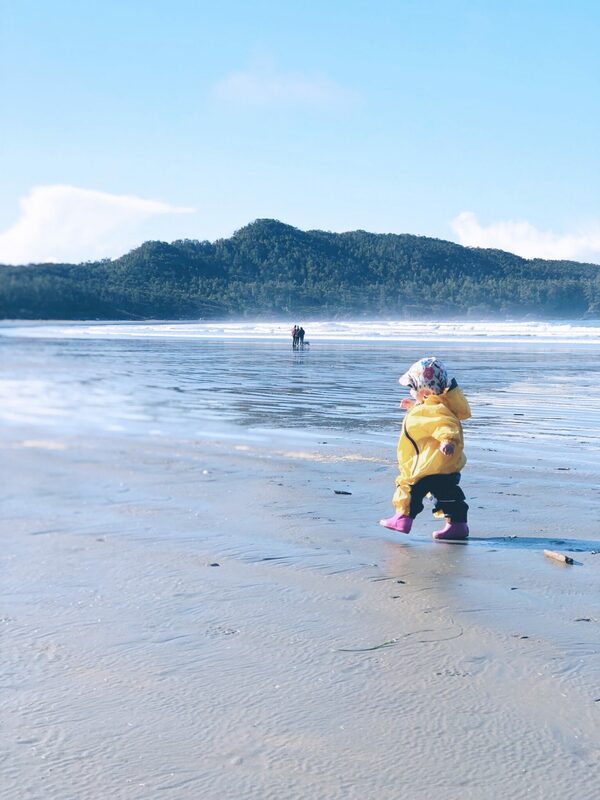 We’ve lived on Vancouver Island our entire life and had never been to Tofino (hangs head in shame) . Phew! Glad we’ve fixed that. You guys! 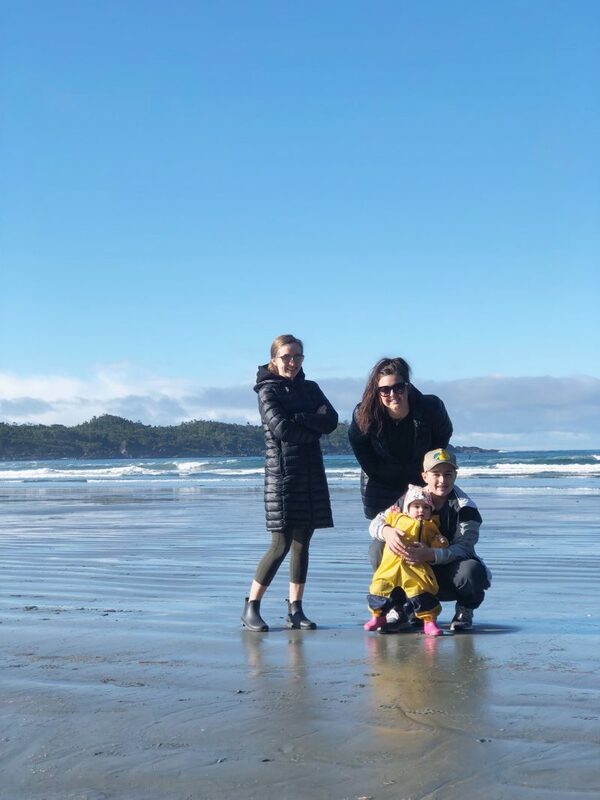 Tofino is a GEM! I’m still pinching myself that this little piece of Heaven is just a few hours from home. 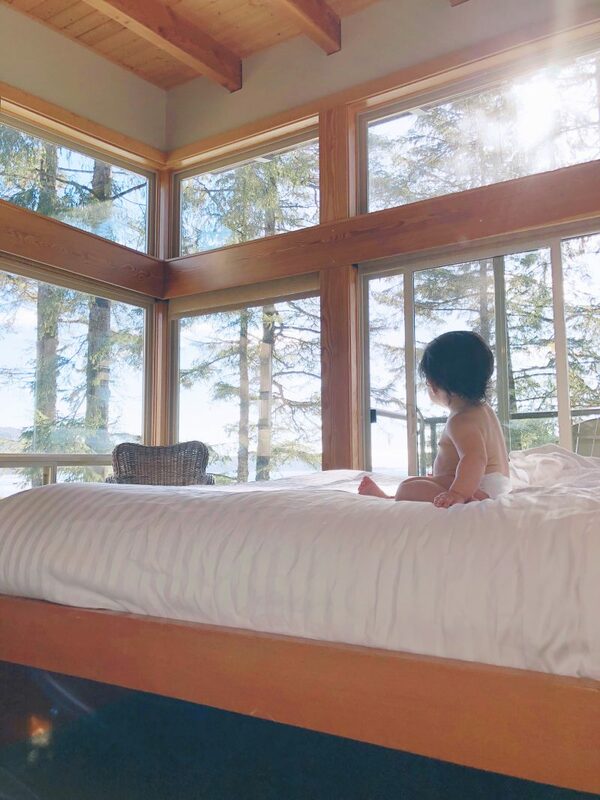 To complete our vision of a relaxed family getaway, I wanted to find accomodations in Tofino that would room our family of 6 comfortably, and a location that had the amenities on site to allow us the luxury of really soaking in the moment. Having a family with older kids and a toddler makes it important to find accomodations with separate sleeping areas, and a full kitchen. Eating out at this stage is tricky so we wanted the ability to make meals, specifically breakfast. We wanted the teenagers to have the enjoyment of sleeping in, and the toddler to get her usual 7am breakfast. 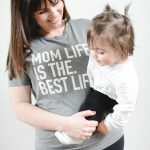 So many factors to consider with our family dynamic. 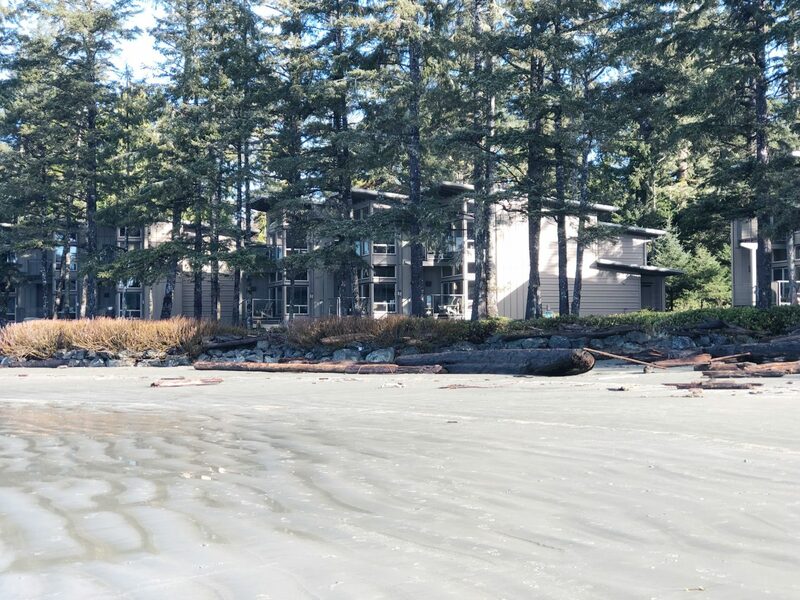 With a bit of research it was an easy decision to choose Pacific Sands Beach Resort as our vacation paradise. The resort offers a variety of suites, and houses with an assortment of price ranges. We choose one of their 2 bedroom beach houses. This was a VERY comfortable floorplan for our family offering a beautiful main level with a full kitchen, dining room, and living room with gas fireplace, upstairs offered a bedroom with 2 queen beds and a private bathroom which was the ideal setup for the teenagers, and finally a loft style master suite with a king side bed, gas fireplace, soaker tub, and full bathroom, all overlooking the beach. It was JUST what this family needed! This resort makes you relax from the moment you drive on site. They’ve considered all the elements to ensure good quality family time. There is fire pit area, bike rentals, sand toys, and a great assortment of board games, and movies. The Surfside grill offers a great casual menu for eat in our take out. Our first night there, we chose to order our food to go and brought it back to our beautiful beach house for a relaxed dinner at “home”. There was really no reason to leave the resort once we arrived and thats exactly the kind of holiday we were looking for. We spent lazy mornings in our beach house and enjoyed the ability to make a nice breakfast in the fantastic kitchen. We walked the beach, drank coffee on our deck, cozied up by the fire while the baby (and teenagers actually) napped in the afternoon, and played board games around the dining room table at night. 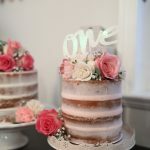 It really was exactly what we had hoped for but exceeded our expectations! 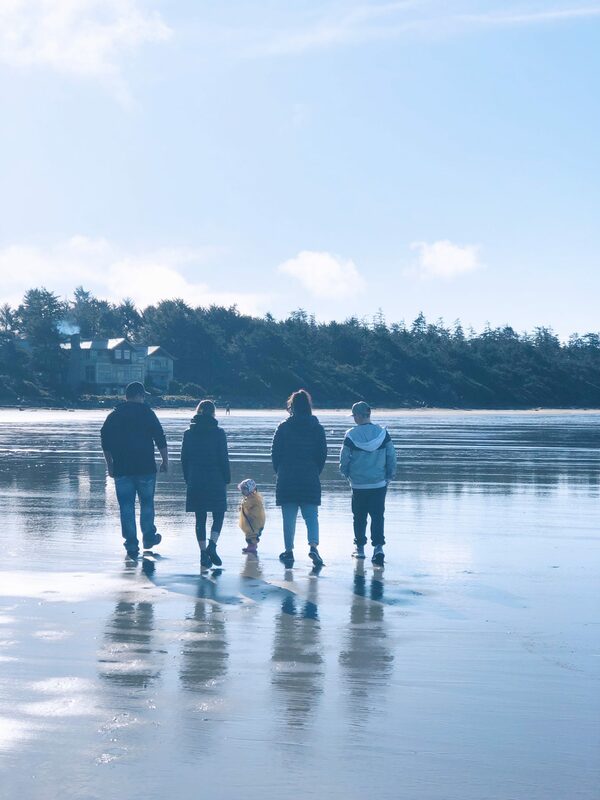 We can’t wait to get back to Tofino, and definitely stay at Pacific Sands Beach Resort again! 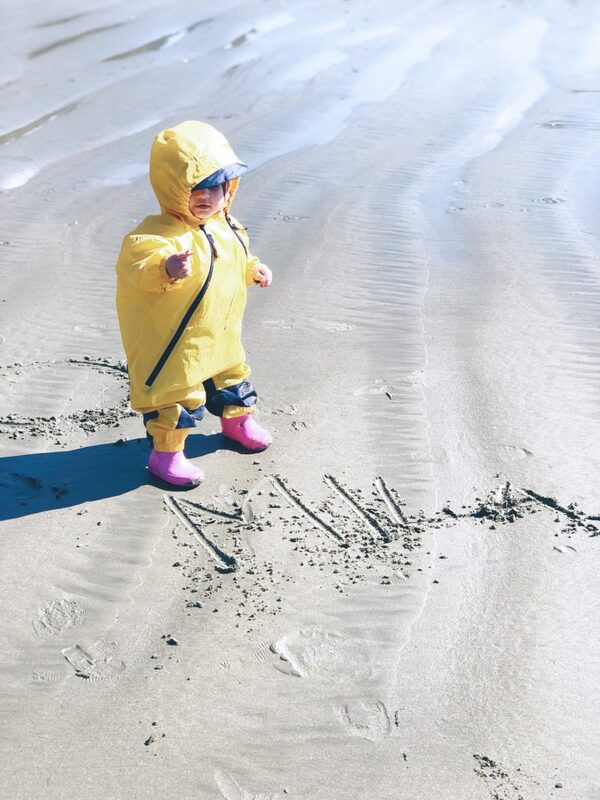 **Please note that this post was sponsored on behalf of Pacific Sands. All views and opinions are my own and align with our families lifestyle. Oh my gosh, this looks like it was such a relaxing vacation! This place looks amazing! How beautiful is that water?!?! I love a vacation where we don’t have to leave the resort. I was JUST looking into Tofino! We live in Seattle and visit Vancouver frequently. 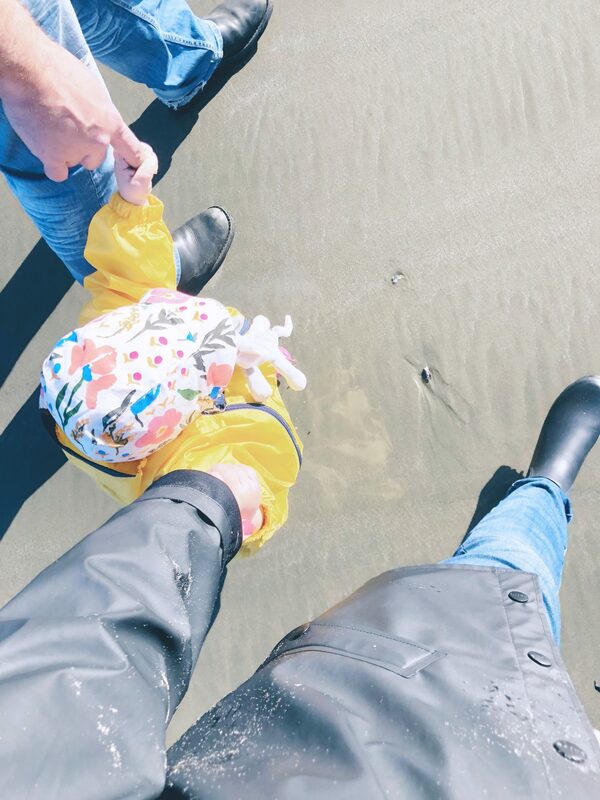 We are interested in exploring more of BC and Pacific Sands looks great for our family! What a beautiful place! I love renting a condo or beach house when vacationing with my family. So much more spacious than a traditional hotel. Thai resort looks wonderful! What a dreamy spot for vacation!